Two weeks out the big marker in the calendar in the lead up to the 2019 Mitsubishi Motors in the UK Badminton Horse Trials is the draw of entries. All riders accepted and on the wait list and every horse that makes up a double entry is randomly picked from the ‘hat’ to decide the order in which they will start the competition. For this reason 109 horses are named and numbered despite the fact that only a maximum of 85 horses will compete. Riders entered with two horses are drawn at the start and end of the list to ensure they have sufficient time to prepare each horse for the dressage and cross country phase (competitors ride in reverse order of their results on the final day of showjumping). 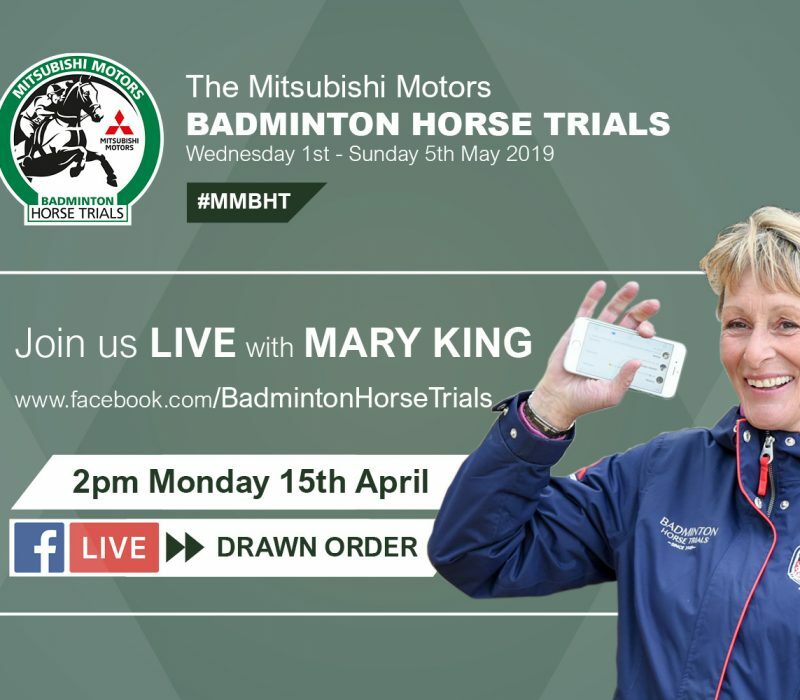 Event Director Hugh Thomas was joined by Mary King and Technical Delegate Mr. Marcin Konarsk as well as Rupert Bell to conduct proceedings which were broadcast via Facebook Live on the official Badminton Facebook page, 2pm Monday 15th April. The draw decides whether riders will compete their dressage on Thursday or Friday and the order they go cross country. This all has the potential to be influential in the competition.